SQL (Structured Query Language) is a method of communication with databases. A number of different database architectures exist each with their own implementations of SQL, these include MySQL, Microsoft SQL Server, SQLite, and PostgreSQL to name just a few of the more commonly known SQL architectures. MySQL is arguably the world's most popular open source database, and has been used by many high profile sites including YouTube, Google, PayPal, Facebook, Twitter, and eBay. It is also found and supported on the majority of hosting providers around the globe as standard, and may also be freely obtained for use on your own server/system via mysql.com. 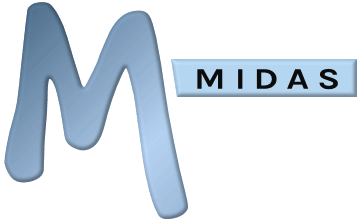 Given its popularity and wide availability, it is the most accessible database engine to our customers, and therefore at present MySQL is the only SQL database architecture official supported by MIDAS. However, we are aware of a number of our self-hosted customers who successfully run their MIDAS scheduling systems using a MariaDB SQL engine in place of MySQL. Whilst we do not officially support MariaDB, its developers promote it as a "drop in replacement for MySQL".